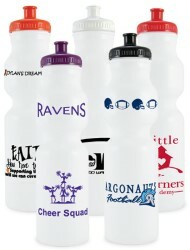 Waterbottles are perfect for sports & summer. 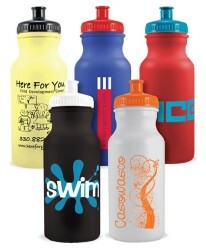 Standard Bike Water Bottle - 20 oz. Sport - Value Bottle - 28 oz. 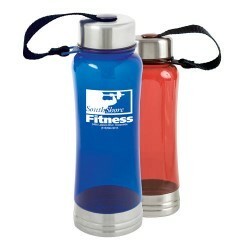 Value Colored Water Bottle - 20 oz. 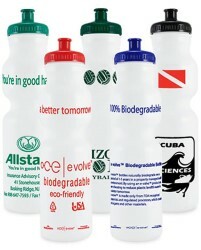 Biodegradable Bike Water Bottle - 20 oz. BPA-free and made in the USA! 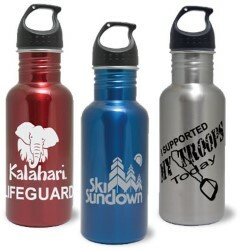 25oz Aluminum Bottle with Screw-on Plastic Cap, Wide Mouth & Carabiner Clip available in 3 colors! 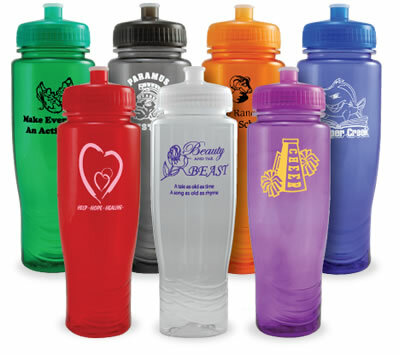 Sleek Polycarb Bottle w/ Attached Lid - 18 oz. Sleek Polycarb Bottle 18 oz. 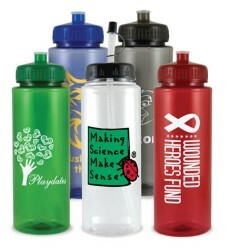 No matter what your lifestyle, a quality water bottle is always an important accessory. People everywhere keep them on hand for hydration, cooling down in the sun, or just storing a drink for later. Since they’re found in so many vastly different locations, an attractive bottle with a custom design will definitely stand out in a crowd. 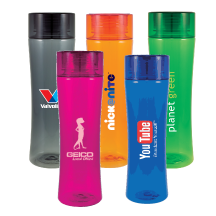 Because they are used for diverse lifestyles, water bottles can be found all across stadiums, parks, beaches, and workplaces. 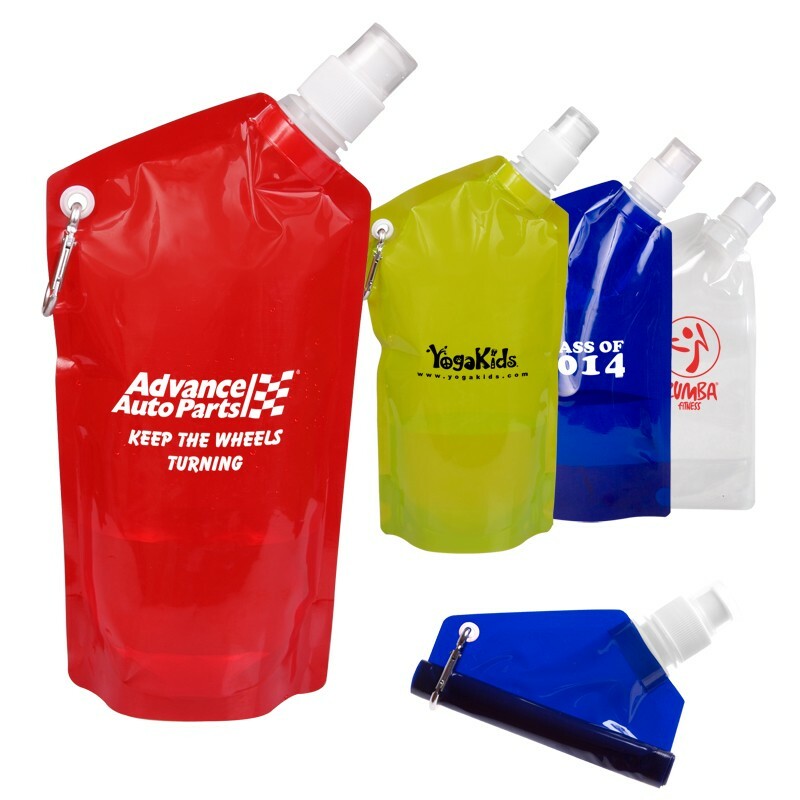 On the sports field, be it soccer, basketball, football, or baseball games, players and fans alike keep their water bottles close by. 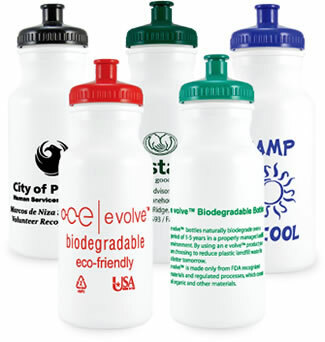 Professional and recreational cyclists alike use bottles routinely and take pride in holding a unique and attractive one. 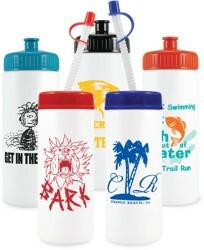 For the outdoor enthusiast, a durable water bottle can be a life saver. Active lives demand a stead H2O intake whether they are hiking on the trails, running through the park, lounging on the beach, skiing the slopes, or fishing out on the lake. Even in the office, people use bottles to stay hydrated and sharp. There’s hardly anywhere you can go now without seeing a water bottle somewhere on display. What all of these different activities and lifestyles have in common is that people take pride in holding a beautifully designed water bottle. With such growing demand, custom bottles are on the rise and this is the perfect time to catch the trend. 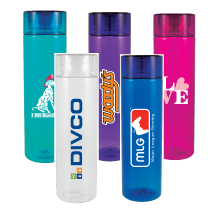 Your organization’s name and logo will have the opportunity to be seen everywhere that people drink water, and your customers will be happy to use their reliable water bottles. Every one of our bottles can be imprinted with your own unique artwork. Due to their large surface area, even the most detailed images can fit and be seen clearly. 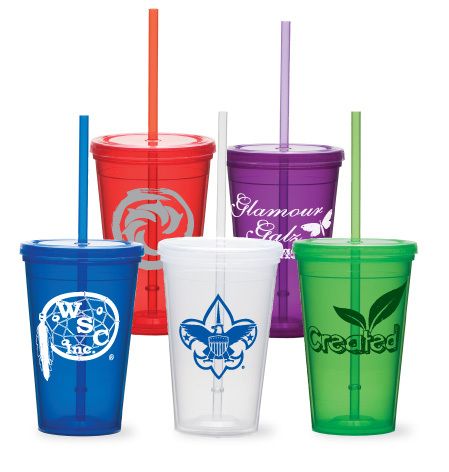 Imprint the name and logo for your company, school, club, organization, or any other personalized artwork. We offer a wide selection of bottles for many different uses, so no matter what your users require they will be happy with the selection. 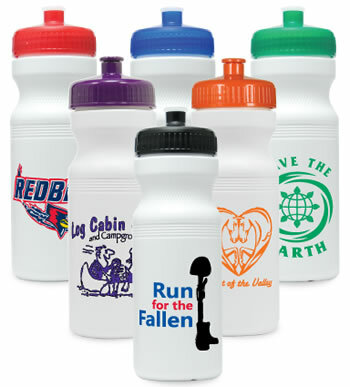 Any crowd for any lifestyle has a use for one of our custom bottles. Don’t be fooled by the plastic. We value the lifespan of our product as much as you and your users do, so we ensure the quality of every one of our imprinted bottles is top notch. 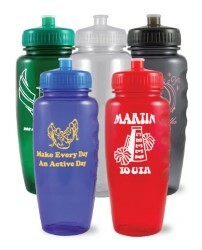 All of our personalized bottles are highly durable and built to last. 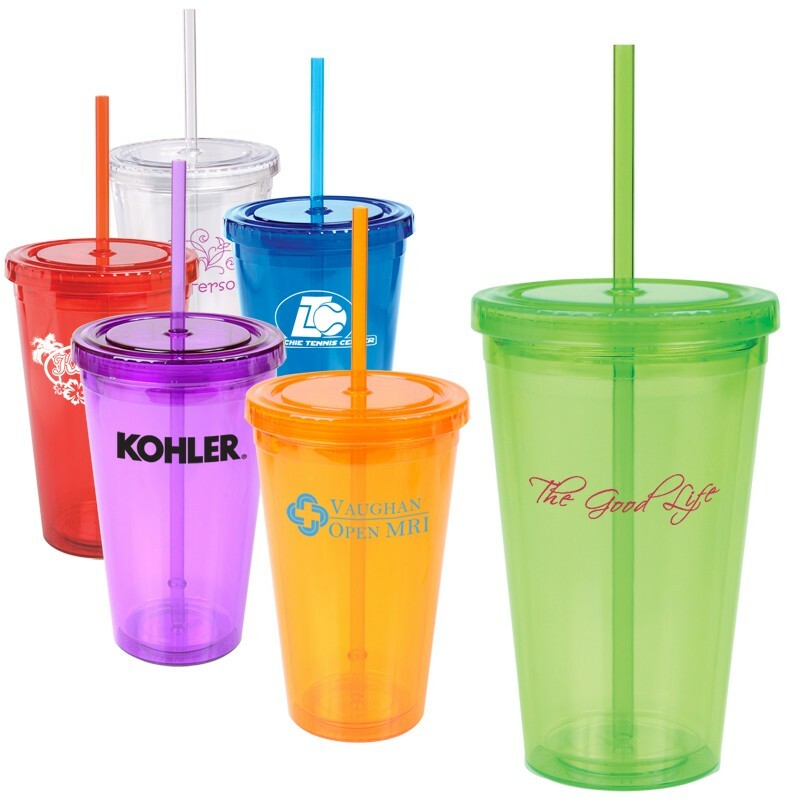 Because of our vast selection of styles suited for any situation, you can be sure to know that they will be hold up use from the park to the office to the backyard. 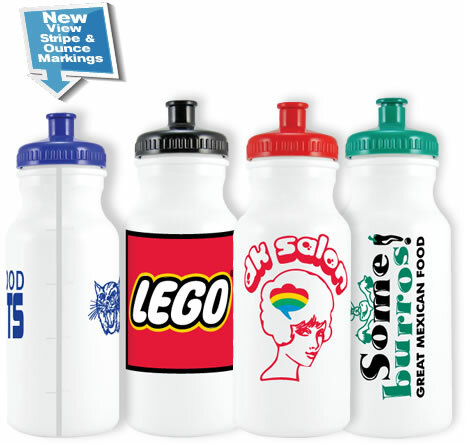 Your personalized imprinted design will always shine clearly, so these bottles will always bear a value beyond their ability to hold water. 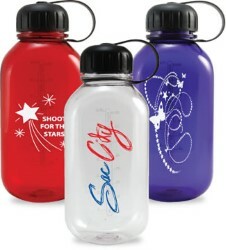 Users will love their beautiful bottles, and your imprinted design will be in the hands of people everywhere.